Do you struggle with making time for consistent devotions? You know that reading God’s Word gives life, but you just aren’t sure how to find the time. 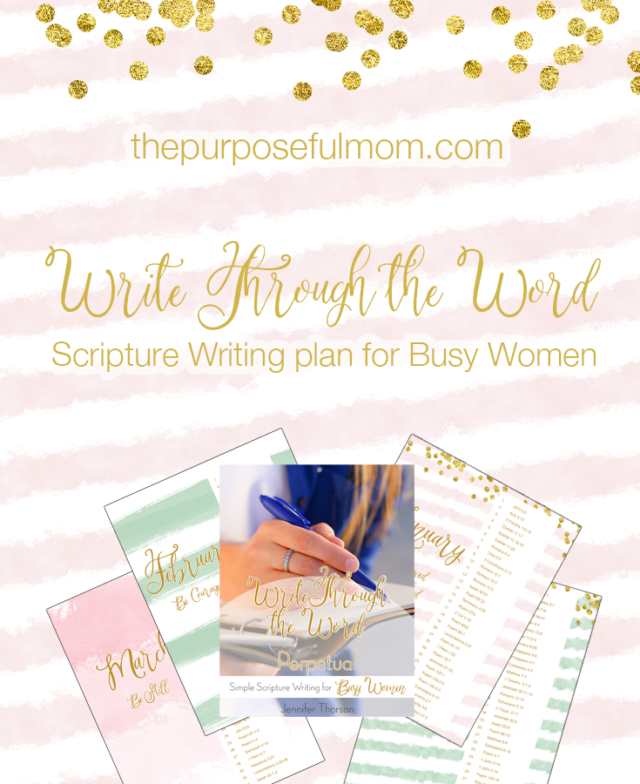 That’s why I created Write Through the Word: Simple Scripture Writing for Busy Women! 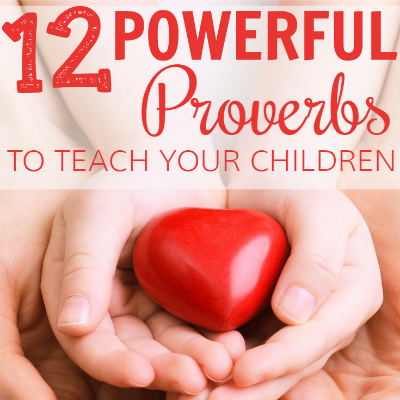 Because Write Through the Word is simple to implement, it’s a method that allows us to easily catch up if we miss a day, so we don’t lose heart. Even if you simply read the Scripture in your favorite version and don’t have time to write it down some days, the references on the calendars are easy to refer back to when you need encouragement or a timely word to share with someone you love. 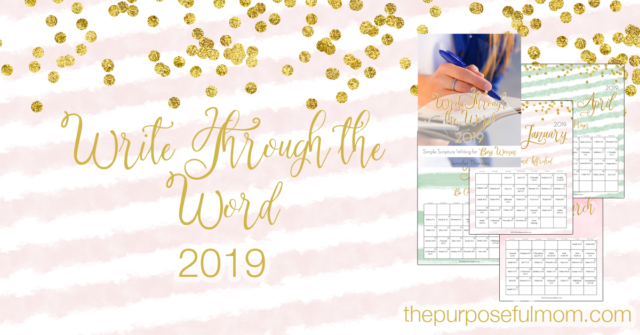 Don’t forget that Write Through the Word comes with Perpetual calendars too, so you can start any month of the year and still have 12 full months of Scripture writing available to you! God honors any amount of time spent in His Word! Don’t wait any longer to start learning and journaling the Bible! And don’t let perfection stop you from studying God’s Word with intention! I’ve made Write Through the Word simple, helpful and effective, so you can see a difference in your devotional life, your trust in God and your understanding of His Word. 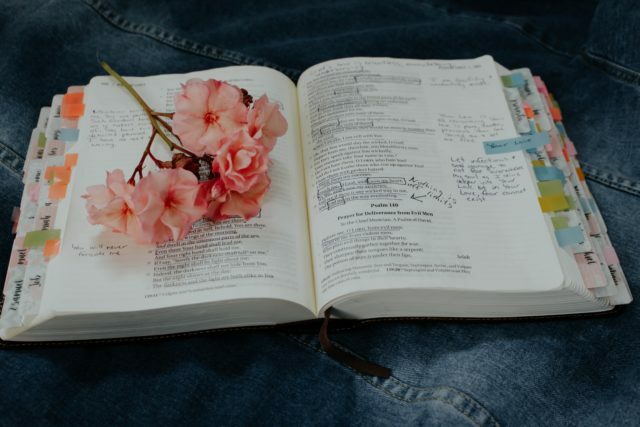 Join me in writing through the precious words of the Bible, allowing Scripture to transform your heart and mind, in just a few minutes each day. Thank you, Melissa! We miss you too!! I have gotten behind in my writing the Word. =( Is September up and ready to go? I’d like to catch up but can’t find it in my email! Could you please resend? Thank you so much! I hope that you are doing well! Sure do miss you and your precious family! Thank you for making this! I got the email right away and easily downloaded it. I’m excited to start! 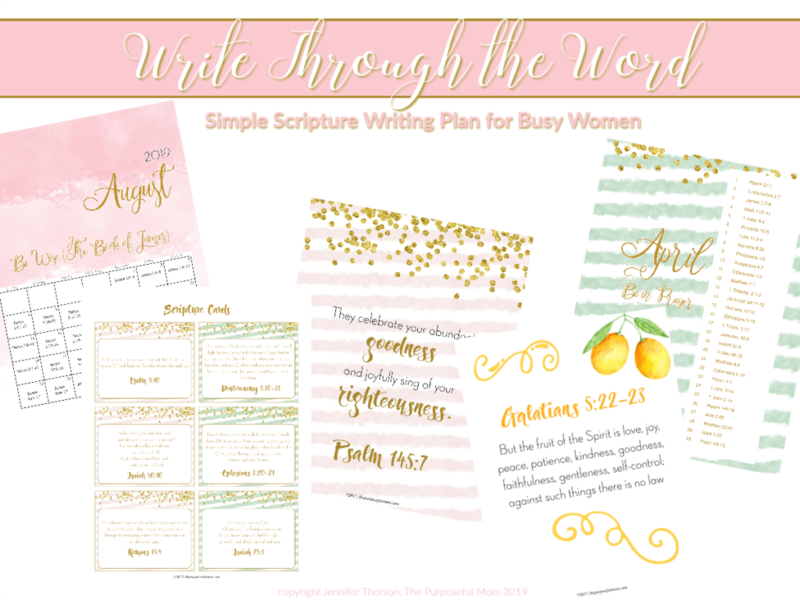 I just subscribed and received the download link for the printable scripture cards,thank you! How to I download this great tool too please? Hi Ann! 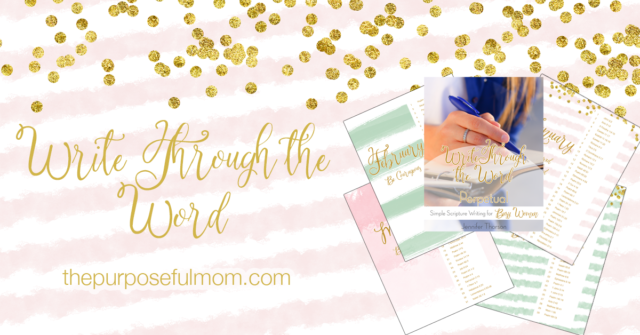 Just click through this link and you can subscribe for the Write Through the Word downloads as well! They will come straight to your email, but remember to check your spam just in case. :) Thanks so much for being here! Hi Jenn! Thank you so much for your generosity. I really need this tool as the new year started. Thanks for sharing! Hi Jenn! I tried to download the Scripture learning tool but it just won’t go through. Are you also going to post the rest of the months here? If so, I’ll just follow it as my guide as I’m having a hard time downloading it for printing purposes. But thanks so much for this one! God bless! Hi Heidi, thanks for your comment! 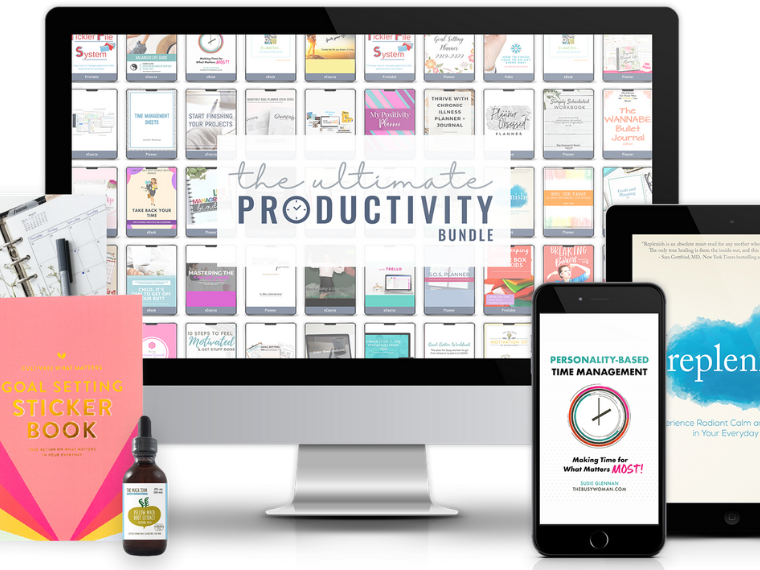 The rest of these will not be posted directly on the blog as it is a subscriber freebie that is sent via email each month when you sign up that way :) If you can send me an email at thepurposefulmom at live dot com with exactly how you tried to download it , we can point you in the right direction and get you your download! Blessings! I absolutely love this! In November & Decembers I tried to keep up with the daily writings that Shannon from Sweet Blessings put together. 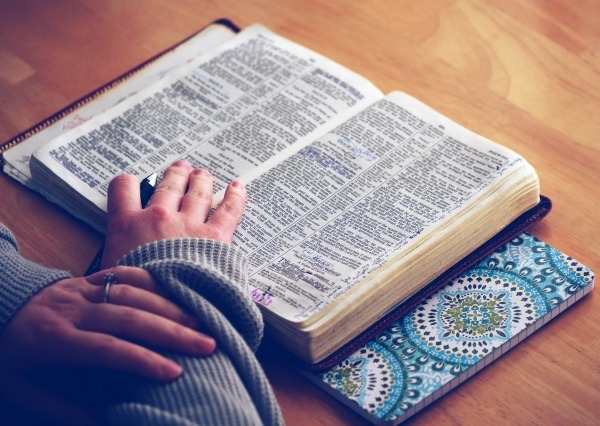 I loved the idea of actually writing scripture, but it seemed like I would always fall behind a day or two, but the passages were so long that it was a daunting task just to keep up. So I had decided (that was until I found your site today) that I was going to have a monthly “theme.” Each day I would write scripture that revolved around my theme. So I have to admit that I was so excited when I found your site because it seems we had the same idea! I can’t wait to get started. Thank you for sharing your time and heart with all of us. 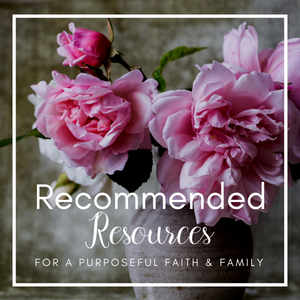 Awesome, I’m so glad that this method appeals to you in a non-overwhelming way :) Everyone likes something a little different and this was the simplicity that God laid on my heart to share! I hope it blesses you and thank you for the sweet comment. Thank you so much for offering this. You are so generous and I pray God blesses you richly in every area of your life this year. Again thank you! Thank you so much, Deborah! 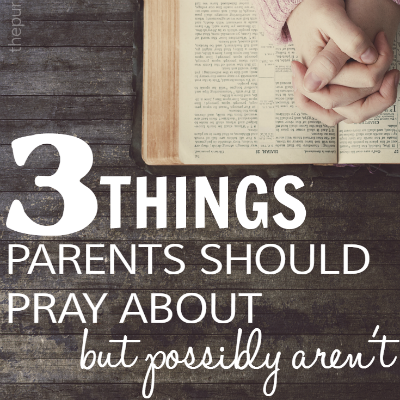 Praying that this blesses you! Got mine, but I was already signed up. Hopefully, just taking a little time for the others. I am excited to do this too. The simplicity of this holds a lot of appeal for me. I also like that I am just focusing on scripture and what God wants to speak to me through His word,, not someone else’s thoughts and opinions. There can be value in that as well, but not as much as allowing God’s word alone to speak and resonate within me personally. Thank you so much! Hi! I also didnt receive the link. I subscribed a couple days ago. I did look in the spam folder and it wasnt there. Thanks! Hi Jennifer! It looks like you subscribed via my general email list, that’s probably why it didn’t come to you right away! I have Write Through the Word set up through a specific link, which I admit might have been a bit confusing :) That’s no problem, I’ve got you all set up! I just sent you an email to the address you provided here with a link to the downloads for January! Then continue to watch your inbox and as the end of January approaches, at the bottom of my weekly newsletter, you’ll get an email with the link to the February downloads and so on. So glad to have you join in. Blessings! I’m very excited about this program and am looking forward to turning it into a smash book of scripture, but I didn’t get the download. Can you help me please. Hi Trish, I sent you an email to the address you provided in your comment here, so we can get you your download! Thanks! Hi Kerry! I just resent the email with downloads to the address you left in your comment here. It should arrive shortly! Excited to get you started! I signed up for your e-mail list, and I was super excited to get this freebie, but I can’t find out how to download it even though I’ve signed up for it. I’ve not received an e-mail with info on how to get it or anything Could you please point me in the right direction? Hi Karen! I’m sorry it didn’t send to you! I sent an email to the address you used to leave this comment (MrsKaren…) so we can get you started on Write Through the Word right away :) Please be sure to check your spam box for an email from The Purposeful Mom as email services can be pesky about that sometimes :) Thank you for subscribing!